Relations between Iran and Afghanistan have gyrated since the 1979 revolution. How might the withdrawal of U.S. troops in 2014 affect opportunities or challenges facing the neighboring countries? All of Afghanistan’s neighbors will be affected when international troops leave in 2014. The United States has completed negotiations with the Afghan government for a strategic agreement that would permit a modest number of troops (5,000 to 15,000) to remain in the country. Their mission would be to provide training and other support but not to have a combat role. President Karzai convened a loya jirga (assembly of elders) to consider the agreement. Despite the jirga’s approval, President Hamid Karzai has declared that he would prefer his successor, after spring 2014 elections, be the one to sign the agreement. He has also raised other objections to provisions in the agreement. The Obama administration, however, has urged the Afghan government to finalize the agreement as soon as possible, to permit the orderly removal of equipment and departure of troops. High level officials have visited Kabul to urge prompt passage, but during Secretary of Defense Hagel’s December 2013 visit, he did not meet with President Karzai (left) and said there was nothing more to say about the agreement. If U.S. troops remain after 2014, Iran in particular will see this as a threat to its security. “We find them [foreign forces] detrimental to regional security and peace,” President Hassan Rouhani (right) said in September. Iran “does not consider the signing and approval of the pact useful for the long term expedience and interests of Afghanistan,” Foreign Ministry Spokesperson Marziyeh Afkham warned in December. The Iranian government, however, has also signaled that approval of a U.S.-Afghan agreement is a domestic Afghan matter, suggesting that Iran may be more accepting of an accord that permits a modest number of U.S. forces to remain in the country. Iran would like to play a more active role in Afghan security, particularly in western Afghanistan along the shared border, and in areas where the Hazara minority lives. The Hazara are predominantly Shiite, like Iranians, but they are not ethnically Persian. In December 2013, Iran and Afghanistan signed a new security agreement to advance security cooperation. What is the state of relations between Afghanistan’s Sunni-led government and Iran’s Shiite theocracy? On what issues do they collaborate? On what issues are they divided? Iran and Afghanistan have complicated relations. Iran was helpful in ousting the Taliban government in 2001 and supporting the Northern Alliance of Afghan forces that are prominent in Hamid Karzai’s government. Iran is also a major aid donor and trading partner. Bilateral trade between the two countries is estimated at over $2 billion per year, and rising. Iranian exports, especially energy supplies, to Afghanistan account for the vast majority of the trade volume. Some 500 Iranian companies were operating in Afghanistan as of July 2013. Tehran and Kabul expect bilateral trade to increase once Iran’s Chabahar port is fully operational. The port, which opened in July, is intended to be a conduit for landlocked Afghanistan to trade with India and other countries. But Iran has criticized the Karzai government for its dependence on Western (particularly American) military forces. Tehran has reportedly supported attacks on the International Security Assistance Force (ISAF). Some Afghan leaders and intellectuals believe that Iran wants to dominate areas of Afghanistan that have strategic value. They resent that Iran does not treat Afghanistan as an equal, sovereign state. The two countries also have specific disputes, notably over water, illicit narcotics trade, and refugees. Water flows to Iran are likely to be reduced when major hydropower dams are completed in Afghanistan, and water sharing is becoming a more acute source of friction between the two states. On drug trafficking, Tehran blames Kabul and Washington for failing to curb opium production in Afghanistan. Since the 1979 revolution, Iran claims to have lost more than 3,700 security forces fighting drug traffickers, many of whom were heavily armed. Tehran estimates that it spends around $1 billion annually on its war on drugs. The Islamic Republic has long been a favorite corridor for smuggling narcotics to Europe and elsewhere in the Middle East. But Iran is now facing widespread drug-usage at home with 1.2 million registered addicts and 800,000 casual users, according to government officials. In 2012, Iran’s largest non-governmental drug treatment organization claimed the number of addicts may be as high as five million. How is Iran building influence in Afghanistan? Where are Tehran’s efforts visible? What countries is Iran competing with? Iran’s influence is strongest in western Afghanistan, particularly in Herat province. Tehran has invested in transportation infrastructure, education, cultural institutions and exchanges; it is also an important source of food and manufactured goods. Iran has pledged nearly $1 billion in aid at international aid conferences held to help Afghanistan, and its aid in the first decade after the Taliban’s ouster was estimated at about 12 percent of total assistance for reconstruction and development. The other major donors are the United States, European countries and Japan. Saudi Arabia and Pakistan also send funds to various Afghan groups, but they are less transparent about aid and financial support. How much influence will Iran have in post-U.S. Afghanistan? and to support Afghanistan on a path to political and economic stability. Until the question of U.S. forces in Afghanistan after 2014 is resolved, however, Iran will be reluctant to pursue open cooperation with the United States. But if U.S.-Iran relations improve as a result of the nuclear talks, cooperation on Afghanistan might become a less sensitive issue. Promising areas for cooperation include border security, economic reconstruction, and preventing the return of the Taliban to a dominant political position. What is the status of the more than 1 million Afghan refugees in Iran? The Afghan refugees in Iran remain a source of potential conflict in Iran-Afghan relations, even though many have lived for decades in Iran and are now integrated into the economy at many levels. 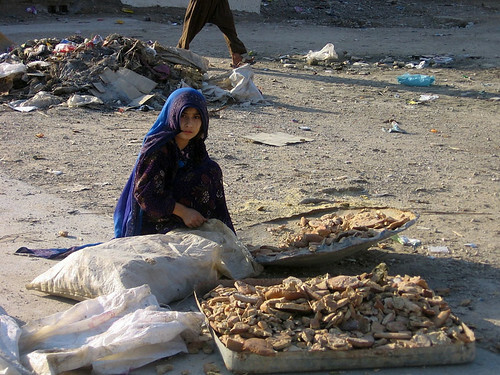 Afghan laborers working in Iran sent home about $500 million annually, according to a 2008 U.N. study—equivalent to six percent of Afghanistan’s gross domestic product at the time. When economic strains are on the rise, Iran faces pressure to encourage, or even compel, the refugees to return home. The international community is largely positive about Iran’s absorption of refugees, but sometimes reminds it not to force refugees to return against their will and to normalize the status of refugees who cannot return. In June 2012, Iran ended the registration period for its Comprehensive Regularization Plan, which permitted some Afghans to legalize their immigration status. Only some 800,000 of the up to 3 million Afghans in Iran have recognized refugee status, according to Human Rights Watch. Ellen Laipson, president and CEO of the Stimson Center, worked on Iran and other Middle East issues on the National Security Council, the National Intelligence Council and at the Congressional Research Service. Read Laipson's chapter, "Reading Iran," in The Iran Primer.